BEE TV was established in 1998 by James Bellew, with the aim of providing high quality video and audio production within a reasonable budget. James graduated from Swinburne school of Film & Television in 1990, and initially worked as a freelance cinema tographer and Betacam camera operator. 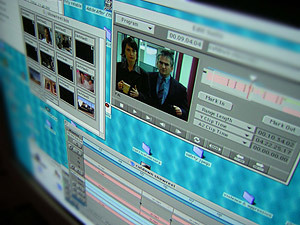 In 1995 James trained as a Media 100 editor at Open Channel and following completion of the course was offered a position as editor at Republic Films in South Melbourne. In 2000 James established the offices of BEETV at the Melbourne Film Studio complex in Port Melbourne.